A rich, savory cream sauce is great on its own, but we added an exotic kick to it with our Spicy Thai seasoning blend! This super easy recipe is great for a weeknight meal. Enjoy it on its own, or top with some grilled chicken or fish. Start by boiling your pasta of choice. 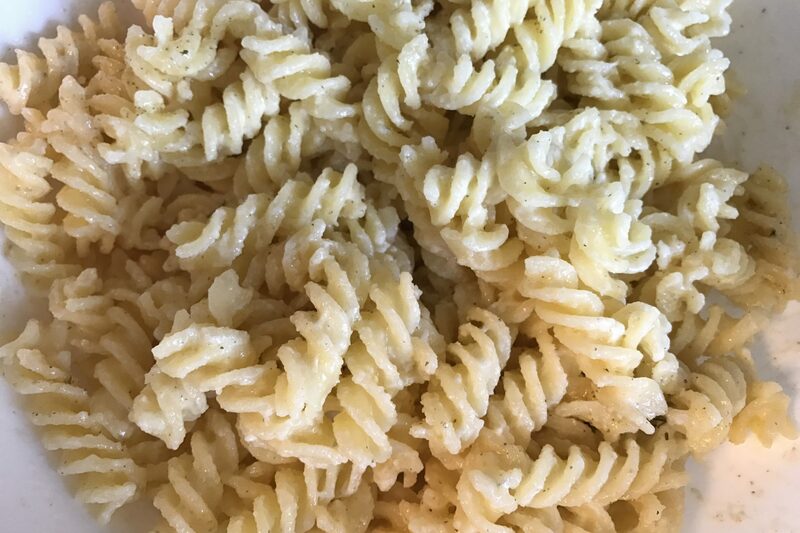 We used gluten free pasta in honor of National Gluten Free Day. Melt 1/4 Cup of butter over low to medium heat. When butter is melted, add 1 Cup of heavy cream. Let simmer approximately 5 minutes. Add 1 clove of minced garlic to sauce. Add 1 1/2 Cups of parmesan to sauce, stirring briskly. Add our Spicy Thai seasoning blend to taste. We used 2 teaspoons. Combine sauce and pasta, top with fresh basil ribbons and another sprinkle of Spicy Thai.